Are you looking for Commercial Truck Insurance in Illinois or Commercial Auto Insurance for business vehicles? If so contact one of our Commercial Insurance Specialists by dialing 1-800-998-0662 Monday – Friday until 5 PM (CST). 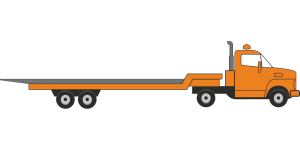 Pathway Insurance is a leading Independent Insurance Agency offering Commercial Truck Insurance in Illinois, Michigan, Indiana, Ohio, Colorado, Minnesota, Kentucky, Tennessee, Texas, Arizona, Georgia, Florida, and Maryland for a variety of enterprises seven days per week. We insure both well established companies and new business ventures, and we represent a number of Commercial Truck Insurance Companies in Illinois. Pathway Insurance is rated A+ by the BBB and we provide unique services compared to our competitors. For example, if you find our website on Saturday or Sunday licensed agents are available until 5 PM (CST) by using our chat system located on this website. Simply click Chat so we can help you find new quotes or make changes to your existing policy! Why work with a specialist versus a generalist? We Are Illinois Truck Insurance Specialists! As a specialist you can count on us to help you find the coverage you need for your company even if you are being cancelled by your existing company. Relatively few agencies specialize in Commercial Truck Insurance in Illinois. Most are what we call generalists, agencies selling all different types of insurance policies. A specialist, in contrast, may have access to underwriting markets that a generalist agency simply does not have the ability or knowledge to obtain. On a regular basis we are contacted by other competing insurance agents who want us to insure their customers because they lack the necessary markets for their customers! As a specialist agency we typically can find coverage other agencies are simply unable to procure on their own. That is a significant benefit to you as a business owner because sometimes situations beyond your control may happen. For instance, what if you experience a number of claims and your insurance company cancels your business insurance policy? What if the insurance company you are currently insured with decides to exit the market? You need a specialist insurance broker who can help you find what you need to keep you in business. Example #1: One company with a few tow trucks could not obtain insurance in the standard market due to a number of claims and was turned down by most insurance companies. They had to shut their business down temporarily because they did not have insurance. They contacted us and within two days they were back on the road. 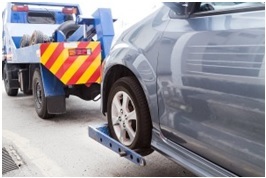 Example #2: Another company with a fleet of more than 30 tow trucks was cancelled by their insurance underwriter for excessive claim activity. They too had received multiple declines and were looking at a rate hike of 400% more than what they previously paid. Our best rate was more than what they paid originally, of course, but half of what another company wanted! Example #3: One tow truck company could not find a company willing to take a chance on insuring them because this company had intentionally failed to disclose all of its owned vehicles in the past, resulting in being blacklisted by all major insurance carriers. We were able to find the coverage they needed to keep them in business. For these reasons a specialist agency like Pathway can help you find the coverage you need, and we are one of the only agencies open 7 days per week. Illinois Truck Insurance — Coverage You Need Without Breaking the Bank! You can click any of the links above to submit a request to us for information and quotes 24 hours per day. Let’s dig a little bit deeper to explore the types of coverage we offer. Tow Truck Insurance Illinois — Coverage for New & Well Established Companies Seven Days per Week! Need low rates on Tow Truck Insurance in Illinois? We can get it for you in the same day for some companies! Call 800-998-0662 to speak with our licensed agents Monday through Friday until 5 PM (CST) or use our online chat system available seven days per week! Tow Truck Insurance Illinois — BIG Shakeups in the Towing Markets! One of the biggest challenges Tow Truck Companies face in today’s market is a lack of insurance companies willing to provide Tow Truck Insurance in Illinois, and throughout the country for that matter. A number of insurance underwriters have exited the Tow Truck Insurance Market. You will find very few Illinois Tow Truck Insurance Companies today willing to negotiate on pricing as was true in the past, particularly for new business ventures and those who have claim activity. However, we at Pathway Insurance can help you find the coverage you need even if you are a new business venture or you have claim activity. Because Illinois Tow Truck Insurance is our principal specialty we have included some helpful tips to assist you in keeping your premium rates lower perhaps than some of your competitors. Click on Tow Truck Insurance Chicago to read more. Owner Operator Insurance Illinois — We’ve Got You Covered! If you need Owner Operator Insurance in Illinois, Michigan, Indiana, Ohio, Colorado, Minnesota, Kentucky, Tennessee, Texas, Arizona, Georgia, Florida, or the state of Maryland, Pathway Insurance is the company to call. 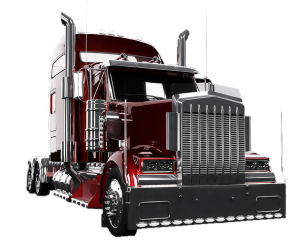 We represent a number of top rated companies offering Illinois Owner Operator Insurance with unlimited mileage and huge discounts for those whose radius of operation is less than 600 miles. Send Us a Request Right Now Using Our Online System for Illinois Owner Operator Insurance. Because we are open seven days per week, if you send us a request for quotes using our online system before 5 PM CST, one of our licensed agents will get back with you very soon. You’re welcome to call us throughout the week by dialing 1-800-998-0662, as well. Owner Operator Insurance Illinois —One Surefire Way to Get Cancelled! What are some ways you can shoot yourself in the foot when shopping for Owner Operator Insurance in Illinois? Hiding vehicles from your insurance company is never a good idea. Some trucking companies are under the mistaken impression they have no need to insure every vehicle they own. Example: Stan Jones owns three trucks but he insures only one at a time as he sees no need to pay for insurance on vehicles that are not on the road. His agent, Polly Pearl, only has one customer who is a truck driver and that’s Stan. She assumes owner operator insurance is the same as personal car insurance, so when Stan needs to swap out a truck on his insurance she goes right ahead and does it. Stan gets a huge rate increase from the company Polly had him insured with, so he decides to shop around for a new provider. He finds a company offering rates about 40% lower than his current rates and decides to switch. Stan assumes every insurance company is pretty much the same, so he makes his down payment, signs the paperwork, and faxes it to the new agent. The new agent sends a cancellation form to Polly, and she cancels Stan’s policy as soon as she gets it. Seven days later Stan receives a letter in the mail from his new insurance company stating that they are canceling his policy because he did not disclose all owned vehicles. Stan calls his new agent who tells Stan that there isn’t anything that he can do about the cancellation. In fact, this insurance company has blackballed Stan and will never insure him again because he failed to disclose all of the vehicles he owns. Stan’s new agent explains that companies are taking a hard-line approach to those who do not disclose all their owned vehicles. The new agent further explains to Stan that because he has a DOT number, all owned vehicles need to be insured. He will gather quotes for Stan on all three vehicles. Stan has no choice, and is shocked to learn that his new premiums are seven times more than what he paid before! Stan quickly decides to sell two of his trucks. What lesson can we learn from this situation? Insurance companies require their policyholders to insure all owned vehicles. Bobtail Insurance Illinois — Great Options on Bobtail Insurance. We represent a number of companies offering Bobtail Insurance in Illinois, Michigan, Indiana, Ohio, Colorado, Minnesota, Kentucky, Tennessee, Texas, Arizona, Georgia, Florida, and the state of Maryland. Bobtail Insurance Illinois — Who Needs It? While under authority with your Motor Carrier you are likely covered by their Primary Liability Insurance. What happens, though, if after you drop off your load and are heading home you get into an accident? Will your Motor Carriers Insurance Company pay? The answer is no, and this is where Bobtail Insurance comes into play. Illinois Bobtail Insurance covers the truck only and not any owned, leased, or borrowed trailers while you are not under authority from your Motor Carrier. Illinois Bobtail Insurance will pay for accidents you are legally obligated to pay for up to your available policy limits. What about damage to your truck? You must add physical damage coverage to your Bobtail Liability Insurance to receive payments for damage to your truck. You can choose liability only or you can add physical damage coverage to your Illinois Bobtail Insurance Policy. What is the difference between Illinois Bobtail Insurance and Non-Trucking Liability Insurance? Continue reading to learn the answer. Non Trucking Liability Insurance Illinois — How Is It Different From Bobtail Insurance? Illinois Non Trucking Liability Insurance covers you when you are using your truck for personal use. In other words, if you get into an accident while taking your truck to your mechanic for necessary maintenance work, driving to the grocery store or movie theater, or using your truck for any other type of non-business activity, then you would only be covered under a Non Trucking Liability Insurance Policy. What if you agree to transport some items for a neighbor or friend and they want to give you some money for gas? Will your Illinois Non Trucking Liability Insurance cover you if you have an accident? Unfortunately it will not. Non Trucking Liability Insurance will not cover you if you are involved in any type of revenue-producing activities, including transporting items for a friend for gas money. Licensed agents are available seven days per week by using our online chat system up until 5 PM Central Standard Time. Cargo Insurance Illinois — Many Options Available! If you’re looking for Cargo Insurance in Illinois call Pathway at 800-998-0662 Monday through Friday until 5 PM Central Standard Time or use our chat system to speak with a licensed agent seven days per week. We represent a number of companies offering Cargo Insurance in Illinois and throughout the country. 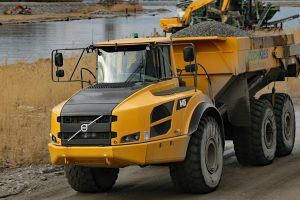 Dump Truck Insurance Illinois — Great Pricing Available. Some companies will not take new ventures. Some companies will not insure Dump Trucks if they are more than 20 years old. Some companies will not insure you if your radius of operation is over 500 miles. Here is the good news: We at Pathway Insurance can insure all of the above situations even if you need High Risk Dump Truck Insurance in Illinois! Call and speak to our agents by calling 800-998-0662 through the work week or click the Chat button on our site to have a discussion with a licensed agent 7 days per week up until 5 PM CST. Moving Truck Insurance Illinois — Call Right Now! We offer Moving Truck Insurance in Illinois, Michigan, Minnesota, Colorado, Texas, Arizona, Ohio, Indiana, Kentucky, Tennessee, Georgia, Florida, and the state of Maryland 7 days per week. Here is the bad news. If you own a moving and storage company very few companies are left that provide Moving Truck Insurance in Illinois, mainly because of bad claims experience & high expense ratios. Example: One moving company decided it was in its best interest to offer low ball rates to get business and then it decided to turn around and charge its customers 3 times more money to deliver their contents. If customers refused to pay more than what they were quoted, this particular moving company then held the customer’s possessions hostage in dilapidated warehouses where their furniture, electronic items and other personal possessions were ruined. Example 2: Other budding entrepreneurial movers rent trucks daily from truck rental facilities. They then purchase Commercial Moving Truck Insurance in Illinois, for said vehicles by claiming they are owned vehicles, only to cancel the insurance the next week. This leads to excessive costs for Moving Truck Insurance Companies in Illinois and other states. Unfortunately, scams and bad moving companies have led insurance companies to pull back from offering Moving Truck Insurance in Illinois and other states across the US. That means fewer options and higher prices for legitimate movers. The good news is that we can help you find the coverage you need if you are a legit household goods mover with a single vehicle or a fleet. Courier Insurance Illinois — Don’t Make This Mistake! Let’s get right to the point. Taking this step is a 100% guarantee that any claims you cause will be denied as you are making deliveries. What is that step? Not purchasing commercial auto insurance. Some Couriers make the mistake of assuming their personal auto policy is all that is necessary to work as an independent contractor for a package delivery service. Here’s the problem with that notion: Any type of delivery is automatically excluded by all personal auto insurance policies in the state. Your duties as a courier are classified as a business use, and no insurer covers business uses under the personal auto policy in the state of Illinois. Example: Joey takes a part-time job working for Lickety-Split Delivery Service Inc. He states on his employment application that he has purchased commercial auto insurance when in reality Joey already found out that he’ll end up making only about $11 an hour if he has to purchase commercial auto insurance. Joey’s never had an accident so he decides to skip purchasing the appropriate Illinois Courier Insurance Policy. Instead, he provides a copy of his personal auto insurance policy – one that he has doctored up in Photoshop to make it look as if it is a commercial policy – to Lickety-Split Delivery Service Inc.
Joey gets into a bad accident while making a delivery. You can read about it by clicking on Illinois Courier Insurance Mistakes to learn what happens. You can be certain that you need commercial auto insurance to operate as a courier in Illinois and throughout the United States. Courier Insurance Illinois — For Small Box Trucks & Other Vehicles. Courier Insurance in Illinois is available with a number of companies we represent. If you have a relatively clean driving record we offer rates sometimes 50% lower than the nearest company offering Illinois Courier Insurance. Courier Insurance Illinois — Commercial Auto & Cargo Available. We offer commercial auto and cargo coverage for Illinois Courier Insurance for a wide variety of companies including coverage for vans, box trucks, and other personal vehicles. No matter if you are transporting parcels, small packages, medical supplies, auto parts, or even hazardous materials you can count on us to help you find the coverage you need. Many insurance companies offering Courier insurance in Illinois will not provide insurance if you are working on time restrictions, meaning you guarantee delivery by a certain time. You can expect to pay a large premium increase for companies that allow time restrictions. Call us for exact pricing, in most cases the same day for single vehicles and fleets. Hot Shot Truck Insurance Illinois — Need it Today? If you’re looking for Hot Shot Truck Insurance in Illinois and you need it as soon as possible contact Pathway Insurance by dialing 1-800-998-0662 Monday through Friday until 5 PM Central Standard Time, or use our chat system seven days per week. Hot Shot Truck Insurance Illinois — Don’t Make This Mistake! In some cases Illinois Hot Shot Insurance can be just as expensive as commercial auto for tractor trailers. For that reason a common mistake made when someone wants to start a career in expediting service is purchasing the vehicle before they find out what the insurance will cost. Example: James Stone and his girlfriend Tiffany decide to start up XYZ Expediters. They purchase a new 2017 Ford F350 Crew Cab 4×4 for $68,948 to pull their trailer with the goal of transporting vehicles between dealerships and other sellers and buyers. James has worked for Acme Expediters for five years. He convinced his girlfriend Tiffany to cosign on the 2017 Truck. After they are approved for the loan they ask Tiffany’s insurance agent to provide a quote for commercial auto insurance. They are shocked to learn that the cheapest price they can find is $22,000 per year, or nearly a third of the price of the entire truck! Why is the insurance so much? Because it’s a new venture and because James has a DUI on his driving record. James and Tiffany get into a huge fight over the whole situation that results in the two of them breaking up, which leaves Tiffany stuck with a brand-new $69,000 truck she doesn’t even know how to drive. Hot Shot Truck Insurance Illinois — Call Pathway Today. As the above example illustrates, you should find out what the insurance costs before you buy the vehicle if you are thinking about starting up an expediting company. Otherwise you may have the shock of your life financially when you learn what the insurance will cost. If you are a well-established company we likely can save you money on your insurance. Non Medical Transportation Insurance in Illinois is typically needed by home healthcare agencies or standalone companies offering this service to home healthcare agencies. When you need Non Medical Transportation Insurance in Illinois you can count on Pathway Insurance to help you find the coverage you need. There Are Two Different Classifications for Illinois Non Medical Transportation Insurance. The two different classifications deal with whether you restrict transportation services to doctors’ visits only or if you transport clients to and from the grocery store or other places they wish to be taken to. If you only offer transportation back and forth to doctors’ appointments you will pay a lower rate. If you transport clients to other locations you will pay the same rate as a taxi service which is considerably higher in cost to you. It is important for you to accurately disclose your classification. If you indicate on your application that you only transport clients to doctors’ visits yet you are involved in an accident and your client is injured when you were in the process of picking them up from the movie theater, you will likely face a claim denial by your insurance company. Call Pathway today when you need Illinois Non Medical Transportation Insurance. Illinois Truck Insurance — Call Pathway Today! When you need Commercial Truck Insurance in Illinois you can count on us to help you find the coverage you need seven days per week. You can speak with licensed agents by phone Monday – Friday until 5 PM (CST) by calling 1-800-998-0662. Pathway Insurance is a leading Independent Insurance Agency offering Commercial Truck Insurance in Illinois, Michigan, Indiana, Ohio, Colorado, Minnesota, Kentucky, Tennessee, Texas, New Mexico, Arizona, Georgia, Florida, and the state of Maryland for a variety of enterprises seven days per week. If you find your website after hours simply click any of the links above based on the type of Illinois Truck Insurance you need and one of our licensed agents will be alerted to your request. The 9 biggest scams to avoid when buying a car on Craigslist businessinsider.com	Not everyone selling a car on Craigslist has good intentions.